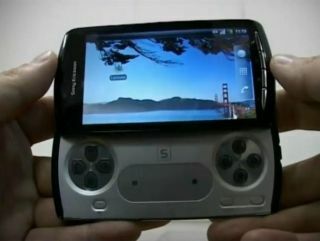 The PSP Phone - which looks set to be given the official moniker of the Sony Ericsson Z1 - has been demonstrated in a new, much clearer video. The short movie from user xxmajstor gives a tour of the phone's chassis, showing off the shoulder buttons and finally extends out the game pad (something which last week's spy video couldn't manage). The phone really is a rather chunky beast, with a likely depth of around 20mm (unless the demonstrator has freakishly small hands) so you'll probably have to REALLY want to game on the go to buy this. Internally we're treated to confirmation that the Sony Ericsson Z1 will be treated to a spot of Gingerbread (Android 2.3) and has the codename of 'Zeus' although we'll be surprised if it actually emerges with that name. The PlayStation icon is there in all its glory, and in the second video is explored in a little more depth. However, don't get too excited about this, as it only shows that there's no content available yet to test - but it could be awesome when it lands.